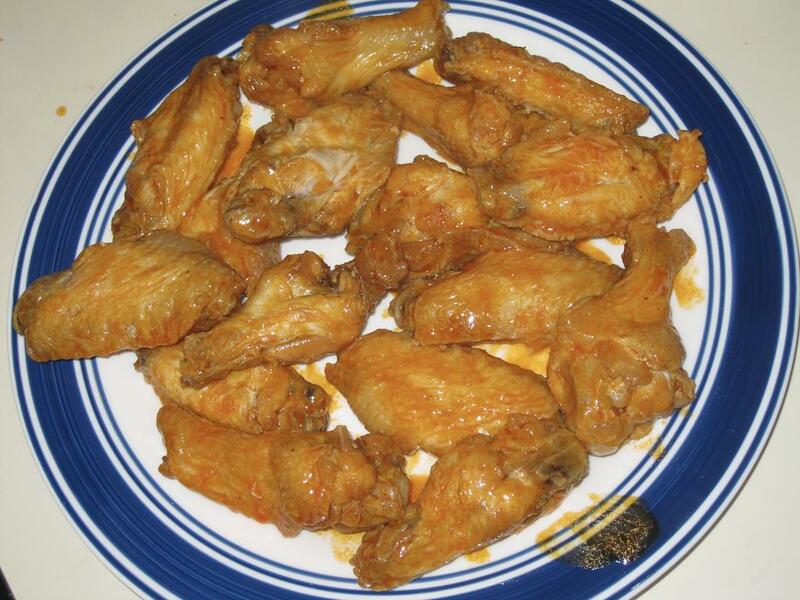 Buffalo Wings are a great low carb food. I won't go through their entire history, the canonical story is that they were invented in a bar in 1964 when the owner needed to make something for her son and friends. They slowly grew in popularity at first, when we lived in the Buffalo area in the early 1970s, they did not seem to be that common, when we lived there again in the late 1970s, they were extremely popular, even my school cafeteria served them. But they were still not popular outside the Buffalo area. Fast forward a few decades, and now they're popular everywhere in the US, to the point where wings, which used to be the part of the chicken that were only used to make stock, now sell for more than any other part of the bird. 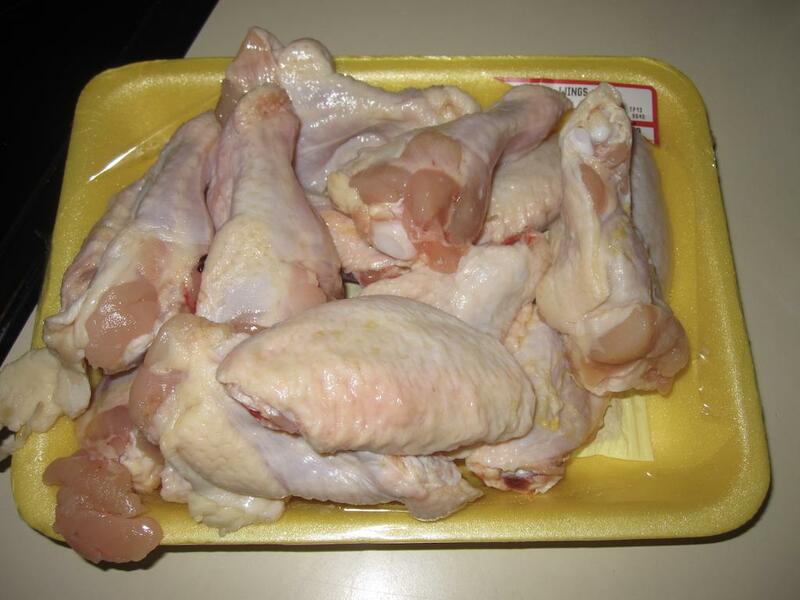 I will be making traditional / authentic chicken wings. There are lots of variations on the basic theme, with all sorts of different sauces, rubs and coatings, and different ways of cooking them, and feel free to add your own recipes to the thread. But we'll start off by making the real thing. You only need two, or at most three, ingredients to make the hot sauce. First, you need butter. 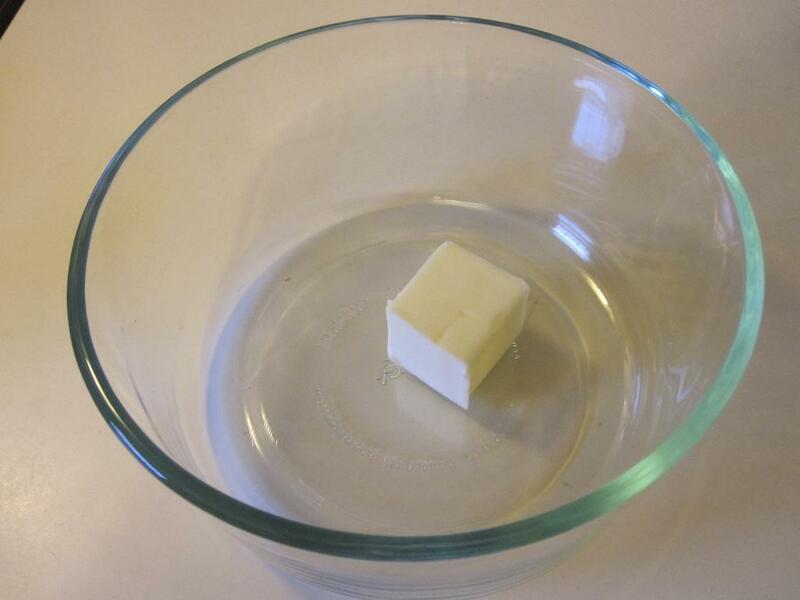 There are some recipes floating around that use margarine instead of butter. Don't do it. margarine is nasty, horrible stuff, and not healthy. 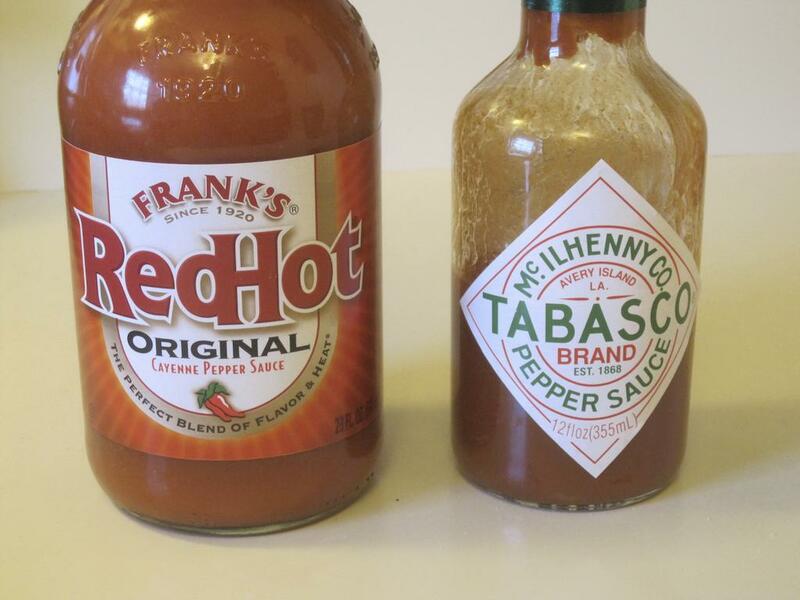 Second, you need the hot sauce, Frank's Red Hot is the traditional sauce to use. There are others on the market, years ago I used the Crystal brand when I couldn't get Frank's. 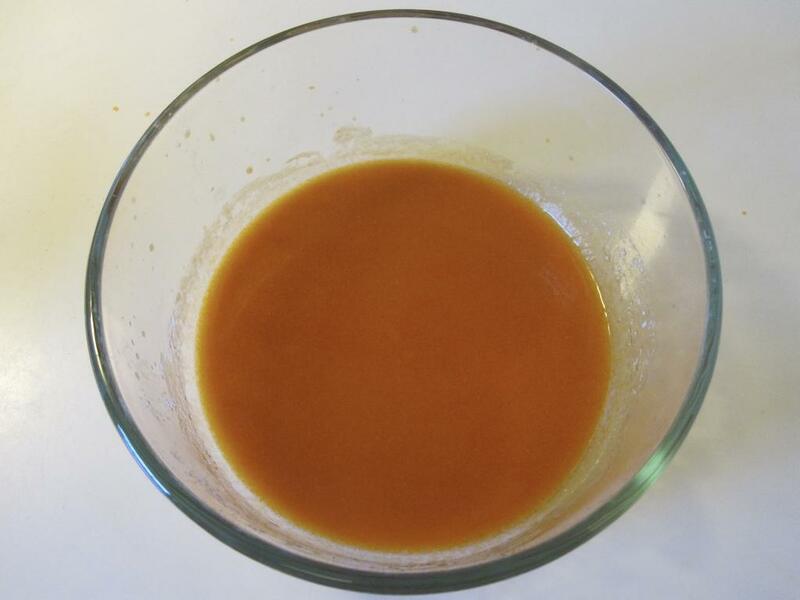 Make sure you are getting just a cayenne pepper based hot sauce. You do not want to buy a ready made wing sauce. Really, you don't. Don't even think about it. Approximately equal portions of butter and Frank's sauce makes a wing sauce that is somewhere between mild and medium heat. 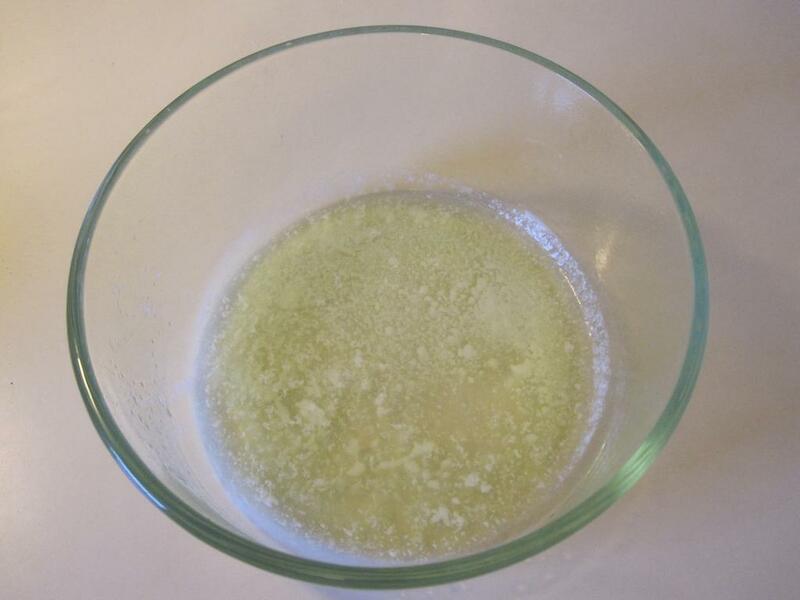 You can use a bit more butter to make it mild, or more hot sauce (or less butter) to make it closer to medium. To make a hot sauce, add the optional third ingredient, Tabasco sauce. Trying to make the sauce hotter by further cutting back on the butter means you lose that great butter taste and consistency. Again, there is no breading. You don't put a rub on the wings. You don't put sauce on the wings before cooking them. Nothing. If you make your sauce early, stash it in the fridge. Next you need to cut the wings. Each whole wing you buy has three sections: the drumette which looks like a tiny drum stick, the flat, and the tip. There's no meat on the tip, so you can discard it, or save for making stock. There's two ways to cut the wing, you can use a knife, or poultry shears. I prefer the latter. Whichever tool you use, make sure you cut in the middle of the joint, where the two sections meet. Don't cut the bones. And don't buy those frozen pre-cut wings that come in bags. The traditional method of cooking the wings is to deep fry them. Some prefer to bake them, and while I inherently think that's crazy talk, even the esteemed Alton Brown recommends this, so I can't entirely dismiss it. However, baking takes much longer, and as I recall Alton had to use a multi-step process where he first steamed the wings to render of some of the fat, then he baked them. Seems like a lot of work to me. There's lots of cooking oils out there for deep frying, but of course you will be using peanut oil, right? There's also lots of deep fryers out there. For years I used one from Philips, and was very happy with it, although it was a bit of a pain to clean, especially the basket and the exposed heating element. Well, and actually the entire thing was a pain to clean. We just got one of the large Presto Kettles for deep frying. Actually, we got two of them. One is reserved for wings, the other is used to cook food for the kids that has breading, as it tends to ruin the oil much more quickly. 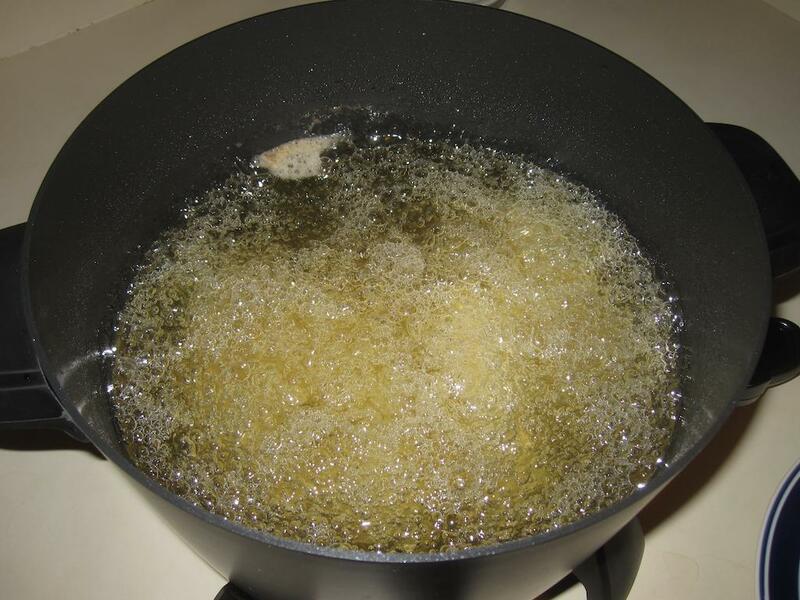 The exact frying time depends on how hot your oil is, and how many wings you are cooking, as well as the recovery time of your fryer. So some experimentation is needed. One technique is to wait for the wings to float, but I have found they are actually cooked before this, so I will take one or two out and check them with an instant read thermometer. Once they get up to at least 165F, they're done. Drain either in your fryer basket or on a rack, or even on paper towels on a plate (although they can remain a bit greasy that way, but it works for me). Then coat with the hot sauce. 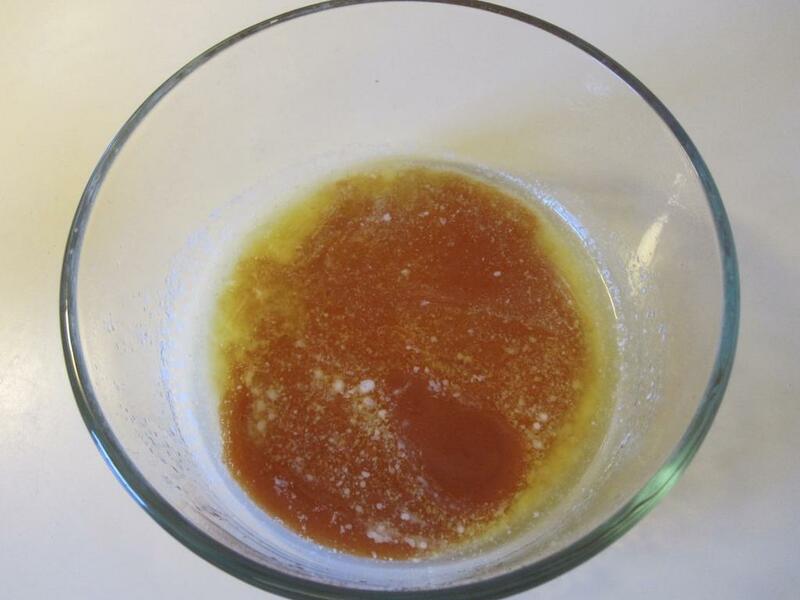 Since I prepare my sauce in a Pyrex bowl with a plastic lid, I just add the wings to the bowl, snap on the lid, and shake. Optionally serve with celery and bleu cheese dip. This recipe is almost ridiculously identical to the one we used at the Mexican restaurant/sports bar I worked at in the very early 90s in Boulder. I can't remember if that was the hot sauce we used, unfortunately, and I'm positive our fryer was loaded with something much cheaper (in cost and quality) than peanut oil. And of course we had frozen wings. But it was just a mix of butter and hot sauce, and the wings were fried, and we used a little plastic bucket with a lid to coat the wings. Glad to know that we were fairly authentic on that front. Most of our "Mexican" food was very gringo, although we did have a very authentic green chili. Yeah, real/authentic wings are ridiculously easy to make. People will start adding garlic and onion and all sort of other spices to the sauce, and then wonder why they taste horrible. I am sure the fryer was loaded with canola or some other cheap oil. Peanut oil is more expensive, although it also lasts longer. I can get dozens of frying sessions before I have to replace it. And if you don't like it vinegary and want it hotter get some el yucateco red instead of that nasty Frank's and Tabasco. Looks delishus, wonder how they'd taste with cholula. Franks was the first wings sauce used, and still, in my opinion, the best. For a while you could not find "Frank's", but it was still around. In the late 1970's Franks was purchased by Durkee's and the sauce name changed to Durkee's. It was the same sauce, just renamed. Eventually they changed back to the Frank's name, although Durkee's still owned it. Re: Buffalo Chicken Wings. Memories of the 'ol P.O. Box 452-land. Coming from around the 'ol P.O. Box 452-land, I was spoiled by wings almost weekly. Yeah, the Frank's Sauce wings are OK, but if you ever get to Buffalo, few beat the Anchor Bar where they originated from. That's a Western New York treat fo' sure! Then, chase 'em down with a Canadian bought Labats Blue that ya went across either the Peace Bridge, or Niagara Falls Rainbow Bridge, to buy. YUM!!!!! I'm going to try these maybe this weekend. They really do look good.